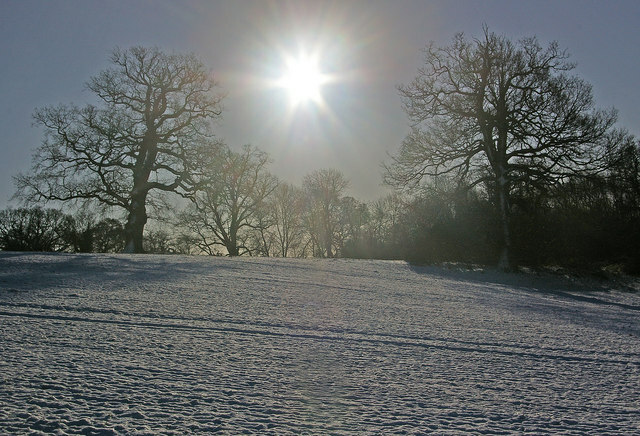 Winter Sun. Photograph by Ian Capper, kindly shared via Creative Commons and Wikipedia. Some traditions refer to the Divine Spark or Inner Light within us, which is hidden from us, then found, cultivated, and shared forth as ‘medicine’ or remedy for the world in these times. This awareness was part of the deeper, one might say spiritual meaning of the end-of-year holy days – the nourishing stream running beneath the joyous celebrations and more stressful elements of the holidays. 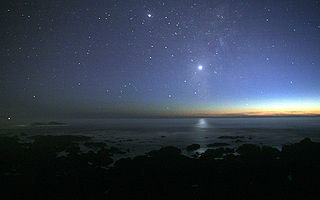 Venus Reflected Over the Pacific. Photo by Brocken Inaglory and generously shared via Creative Commons/Wikipedia. In the Gospel of Thomas, this is the Third Way — different from the grace or works dichotomy (as if it couldn’t be both grace and works, or graceful works!). How delicious and cool is that? We can be lights unto the world — both the candle and the mirror that reflects it — letting our big-heart-light shine. And in the graceful being and doing of that, we help restore the world’s lost heart. For more inspiration to spark your whole-heartedness and heart-light, revisit (or visit newly), “Out of Fear-Spin and Into the Heart, Illuminated,” in the Sophia’s Children archives. May, through grace, the light within you kindle; may you be a shining light unto the world; and may your own amazing beauty and unique gifts be reflected back to you by others. p.s. Stay tuned for a new Wise Woman – Feminine Mysteries Apprenticeship program emerging from my Creative Cauldron very soon … send me a direct email (sophiaschildren ‘at’ gmail ‘dot’ com) if you’d like a personal heads up and preview on it! Explore Magdalene and other Divine Feminine and Goddess energies and archetypes, and reclaim & express your Feminine Mojo with a Sophiastrology+Intuitive consultation or a more PowerShifting co-creation. Has Sophia’s Children inspired you? Thank you! Every bit helps to keep the inspiration and Big Love flowing freely. Your writing is simply exquisite! And, we have No doubt, divinely inspired. Thank you for sharing your wisdom and blessings. I couldn’t have found it any other way. Thank you for your blessings and kind thank yous. I must add, when I read your blogs I can hear your voice speaking to me, and it’s as if I’m at a lovely sermon. In an invisible church. Inside my mind. Propped up in the four corners by soul, spirit, intellect, and goodwill. That feeling is very much appreciated!! If you got Odie’s ear, you must be on a roll! I agree with eye of Odysseus — her description of how your posts feel so personally touching is the same way I experience your words. I have been catching up on a couple months of posts I’ve missed, as I’ve been in the land of Hermitville myself these days. The posts I’ve read so far have all moved me to tears!! Good tears. The quotes, the blessings, your insights and kind guiding words … all touch my heart very deeply. My sincerest thanks to you, Jamie. p.s. I am a Gemini moon too. And a Gemini sun! Mercury, too, was in Gemini on my birthdate, along with another planet — basically I’m about as Gemini as they come :-). Hi Jamie, thanks for your reply! About the “Chiron return” thing … I know a smattering of astrology, but not enough to know what the Chiron return means. I’m fascinated by astrology and pay visits to a couple astrology blogs like Molly’s on About dot com…. (actually, I think that’s how I found you! Through one of Molly’s blog posts!). But as i read those astrology posts, the more in-depth the info gets — with houses and degrees and reruns and squares and all — the more my mind glazes over. I’ll be 3/4 through an article when suddenly I discover that my mind is GONE!! It checked out somewhere around the first quarter! I think Astrology to my brain is kinda like math. I have a couple more posts to comment on — especially “This Little Light of Mine.” I didn’t realize you wrote that back in September — I thought it was more recent. But that post …. wow, did that one ever call out to me!! It offered me much solace. (I still haven’t watched the video, but it’s at the top of my list!). Hi Mo! Oh, definitely watch Springsteen and Co. do This Little Light of Mine (the youtube I include in the post). It’s a good one. In a nutshell, the Chiron Return usually occurs when we’re somewhere between 49 and 51 years of age, thereabouts. Chiron in myth is ‘the Wounded Healer’, so with Chiron Return, there is usually an opportunity to heal the ‘original Chiron wounds’ (afflicted on the soul, and in childhood, etc.). With my own … a nice juicy extended version thanks to two Retrogrades … I noticed that in the several years leading up to it, various core patterns showed themselves to me (in the mirror of relationships), and then during my Chiron Return, that mirroring spiraled right back to the core with the recollection of key events and dynamics that occurred during childhood, very early on in some cases, that laid the groundwork for the radical breach of trust (Chiron in Pisces core wound), etc. The ‘wound’ shapes certain worldviews and patterns from then on, until ‘the reveal’ around the Chiron Return. Then in the time following the Chiron Return, there’s the chance to integrate, gather the pearls, jettison the shells (through ritual or whatever we find meaningful), and begin to be the ‘wounded healer’ like Chiron in myth. Astrology is definitely a whole wisdom tradition that one can do a lifelong study in and still have things to learn! 🙂 It’s easy to get lost and confused when you climb into the nitty gritty of it. I’m so glad that This Little Light of Mine gave you solace (or you found solace in it!)! Thank you for letting me know. There’s a wealth of feminine power in this blog. Very helpful to me as a community animator. Thank you so much for the opportunity to be able to access such a very enriching and inspiring space.